Evening primrose oil is extracted fromthe seeds of *Oenothera biennis*, a plant native to eastern and central North America. It contains about 7-10% of gamma-linolenic acid (GLA), which is involved in the synthesis of prostaglandin. 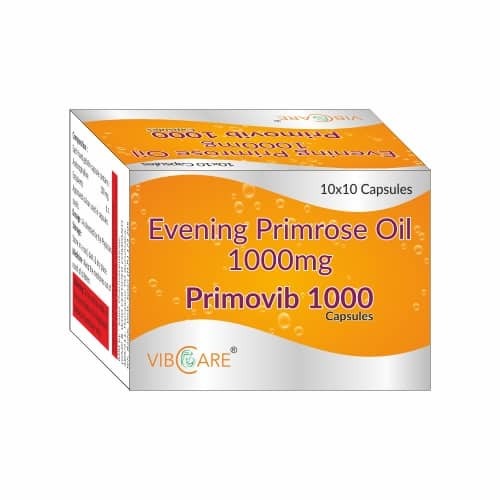 Evening primrose oil is used in skin disorders such as eczema, psoriasis, and acne for temporary symptomatic relief. It is also used in temporary pain management for conditions such as rheumatoid arthritis, osteoporosis, Raynaud’s syndrome, and multiple sclerosis. It is also used in chronic fatigue, asthma, hyperactivity in children, gastrointestinal disorders including ulcerative colitis, irritable bowel syndrome, and peptic ulcer disease. 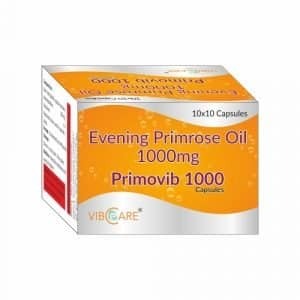 Uses of evening primrose oil in women for premenstrual syndrome (PMS), breast pain, endometriosis, and symptoms of menopause such as hot flashes are reported.